North Carolina-based progressive rock/cutting-edge metal band BETWEEN THE BURIED AND ME has announced the "Coma Ecliptic" tour, named after the group's forthcoming album, for July through August in North America. 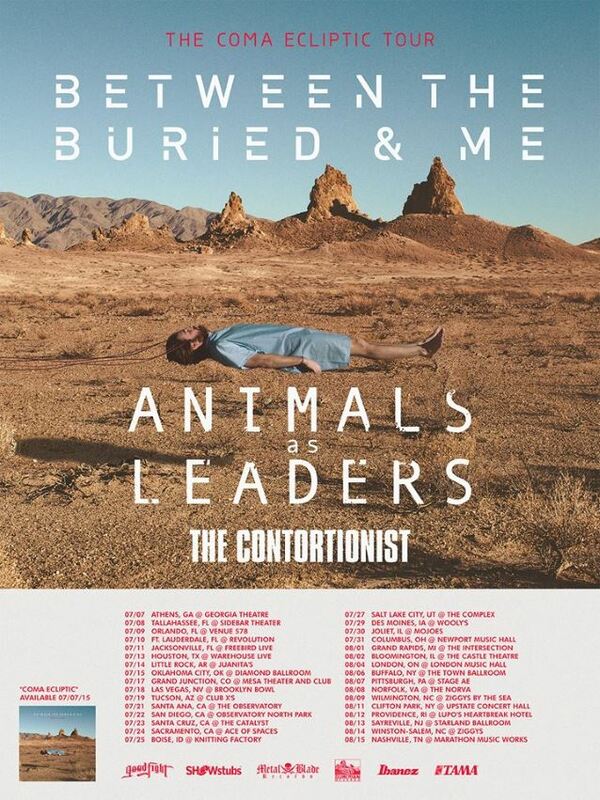 The trek features support from ANIMALS AS LEADERS along with openers THE CONTORTIONIST. The tour will be BETWEEN THE BURIED AND ME's first official set of dates following the release of "Coma Ecliptic" on July 7 via Metal Blade. VIP packages are on sale now that include an exclusive question-and-answer session with both BETWEEN THE BURIED AND ME and ANIMALS AS LEADERS, photo ops with each band, an 18"x24" poster signed by both bands, and a souvenir laminate with early entrance to the show! VIP packages can be purchased at showstubs.com/btbam. General tickets will be on sale this Friday, March 20 via local ticket outlets. "Coma Ecliptic" is, once again, an ambitious concept album. This time, the story follows the wanderings of an unidentified man, stuck in a coma, as he journeys through his past lives. Each song is its own episode in a modern day, sort of "The Twilight Zone"-esque fashion. The unidentified man enters each world and is offered a choice: stay, or move on to the next in search of something better, something more "perfect." BETWEEN THE BURIED AND ME vocalist/keyboardist Tommy Rogers spoke to Revolver about "Coma Ecliptic" for the next issue of the magazine, which will be on newsstands everywhere March 31. 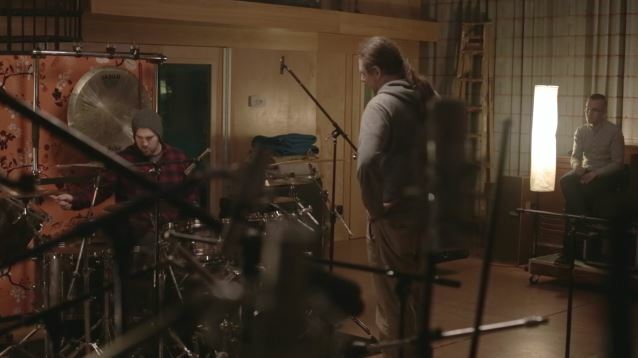 Pick up the magazine for an exclusive first look at the album's recording process and concept. New music and pre-order bundles will be launched on April 3.